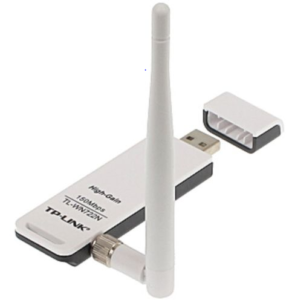 There have been miscellaneous speculations as to why a wireless adapter is needed during Wifi password hacking and packet sniffing instead of opting its use with the physical adapter or the already installed one. Well, the choice dwells on the ability of a wireless card to support monitor mode, which is very uncommon with many wireless network adapters. 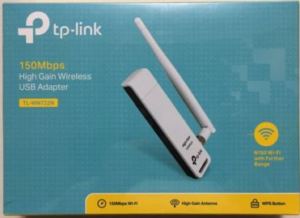 Since not all adapters whose drivers can capture wireless transmissions while posting them where needed, the article will guide you through the Best Wireless Network Adapter for WiFi Hacking in 2019. I will tell you what’s important when making your choice. Also, check out the Best Hacking Laptops 2019! Apparently, the adapter is well supported by a number of Linux OS, and there is no big need of installing drivers when using it on Kali. To sniff packets use Aircrack-ng suite and do not forget to maintain the adapter in monitor mode. A sure way to learn about the compatible chipsets in use by your TP-LINK TL-WN722N adapter is by running the airmon-ng command. Note that it will also display the driver details. So far, Alfa remains the best in providing USB Wifi Adapters for pentesting. With a speed of 150mbps and a frequency of 2.4GHz, ALFA AWUSO36NH is an IEEE802.11b/g/n adapter, which integrates well with other IEEE802.11b/g wireless devices but at a relatively lower speed of 50mbps. 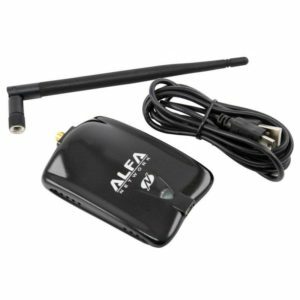 You can opt to configure your ALFA AWUSO36NH wireless adapter in either of the two provided modes, which is infrastructure mode (connecting to wireless AP/ router) or the ad-hoc mode (connecting to 2.4GHz wireless computers). This adapter employs the use of the Ralink RT3070 chipset and due to its plug and play functionality; it is effective on Kali Linux. Often, ALFA AWUSO36NH ships in with 5dbi as well as 7dbi Omni direction and panel antennas respectively. Another stunning feature of this adapter is the 64/128 bit encryption level for wireless data (WEP, WPA, AES, TKIP, and WPA 2). 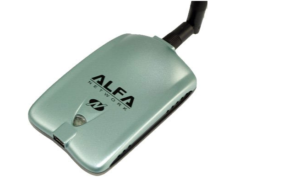 The ALFA AWUSO36NHA is another wireless USB adapter that comes along with an Atheros chipset. Usually, it is compatible with several brands of routers including 802.11b, 802.11g, and 802.11n at a frequency wavelength of 2.4GHz. Just like the preceding adapter (ALFA AWUSO36NH), it also supports the WPA, WPA 2, TKIP, AES, and WEP security protocols. 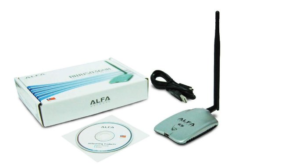 Yes, the ALFA AWUSO36NHA USB adapter also has a somewhat screw-on upgradable 5dbi antenna that can be replaced with 9dbi. Before descending to the Panda adapters and the miniature rest of Alfa’s check out some popular chipsets that are compatible with Kali Linux. 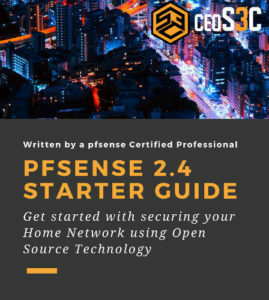 First, start by understanding that amongst the popular chipsets working well with Linux boxes some are definitely better while compared to others in managing wireless communications. PS: fine research also suggests that Ralink RT5370N, which was tested with Kali, is also part of the list supporting managed and monitor modes. Now, sneaking the list to look at PANDA PAU09 reveals that the adapter is a dual-band one with two frequency wavelengths of 2.4GHz and 5GHz as well as respective dual antennas of 5dbi. 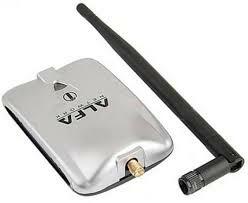 Often, the maximum wireless connection speed of the adapter wavers at 300mbps for both frequencies. What is more interesting about PANDA PAUO9 is that it works efficiently with 802.11 ac/b/g/n routers. Have a look at its picture to have a physical capture of the adapter. All long, the ALFA adapters serve their purpose well but the newly supported long-range ALFA AWUSo36ACH 802.11 ac beats them all with two frequencies of 2.4GHz at 300Mbps and 5GHz at 867mbps and of course not forgetting about the dual antennas of this network adapter with the two RP-SMA ports. Packet injection in Kali Linux was announced in April 2017 and users should refer to technical forums on how to install its drivers. To attain the maximum connection of 867 Mbps you will probably require a 3.0 USB port. Nevertheless, the backward compatibility in 2.0 USB ports is still enabled but limited to 480Mbps. Eventually, enthusiasts of Wifi hacking know ALFA AWUSO36H adapter as the oldest due to its Realtek chipset which is not as powerful as its peers are. It includes drivers for Kali Linux and it is secure to use on WPA, WPA 2, WEP, and TKIP protocols. 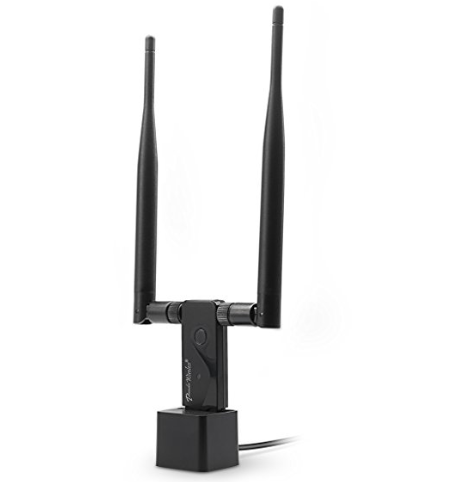 With its single 5dbi antenna, it is easy to mount and as such, there is not so much to mention about it but it is still a nice option for starters. 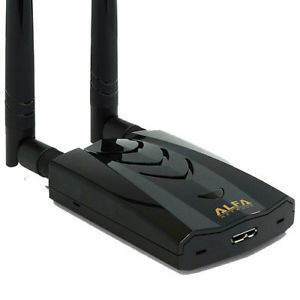 With this guide in place, hope you will be able to end the ongoing confusion about the Best Wireless Network Adapter for WiFi Hacking in 2019. Personally, my all-time favorite and oldest antenna is my beloved Alfa AWUS036H. Although it is a bit slow at times, especially compared to the newer ALFA AWUSO36NHA , but I still found the AWUS036H has a higher range. I will continue using both of them depending on the scenario. If I need more range I go for the 36H, if I need more speed I go for the 36NHA. If this still leaves you confused, just pick up an Alfa AWUS036H if it’s your first antenna. You can’t go wrong.